ATTENTION! LIMITED WALK-UP REGISTRATION IS NOW AVAILABLE. UPDATE! The Friday evening dinner spots are full. All registrations received after May 5th will be placed on a wait list for the dinner. Those on the waitlist who cannot be accommodated will be will receive a refund for the amount of the dinner; $110 USD. Attendees who are traveling via plane will want to fly into Milan and then arrange for transportation to Stresa via hired car, van, bus or train. Please note, our experience was that the train ride from the airport to Milan took approximately 1.5 hours, then another hour to Stresa. It might be advisable to take the bus or hire a taxi to shorten travel time. Drive time to Stresa is approximately 45 minutes. Travel via train takes about an hour. The train station is just over one mile from the hotel. Taxis are available. Attendees will receive the following: educational sessions (CE, invitation to present, notes), welcome reception, three buffet breakfasts, two lunches, four coffee breaks, and one ticket to the Friday night dinner (with boat, transportation and drinks). Registration also INCLUDES three nights stay at the host-hotel (including all fees for one person), at the Grand Bristol Hotel. Our registration fee covers all hotel taxes and VAT, you will not need to pay for this unless you choose to extend your stay. Attendees are responsible to secure and pay for transportation to and from the hotel. All guests staying in your room need to register as guests or attendees on the form. Registration for the symposium is not limited to members, but members receive priority placement with their requests for room placement and seats available at the facility. To accommodate non-members, an increase of fees, equal to 2014 membership, has been included in the rate. This will allow these individuals to enjoy the benefits of membership in 2014. We welcome and highly value the input of our colleagues and thank them for their support of the symposium and the IEOC! This year we will be adventuring out to a nearby island called, Isola dei Pescator (Fishermen\'s Island), for a sumptuous dinner at the Ristorante La Pescheria. Transportation will be provided via boat from the host hotel property to the island and back. If you are staying elsewhere, you are welcome to attend and utilize the transportation to the facility. The menu is yet to be determined but should include drinks. If weather allows we will try to use their outdoor facility overlooking the water. Registration as an attendee or guest is required to receive a dinner ticket. (More information about dress and menu will be forthcoming). Seating is limited to 90 guests so be sure to register early! We would like to thank our esteemed speakers for agreeing to provide two hour presentations during the DHF Symposium. Initial description: Dr. Lavach looks forward to sharing the following: his early experiences in equine veterinary medicine and what led him to write Large Animal Ophthalmology, the diseases he has seen us get a handle on and things we have not over the years, his various experience in equine ophthalmology from academics to private practice, and his recent immersion in \'wild horse management" and their ocular disease. Biography Summary: Dr. Lavach has a varied background in comparative ophthalmology. He had several years in general practice and emergency practice. In addition, he had academic and research experience as a faculty member of the University of Florida and Colorado State University. Dr. Lavach is a former President of the American College of Veterinary Ophthalmologists. He is an author and coauthor of textbooks, scientific publications, and general information publications for animal owners. Currently he is participating in ocular toxicology studies, general ophthalmology practice and continuing to survey captured wild horses in order to establish an ophthalmic disease database for wild horses. Presentation Title: "What can equine ophthalmologists learn from a pediatric neuro-ophthalmologist?" Biography: Prof. Ehrt is head of strabismology, paediatric and neuroophthalmology at the University Eye Hospital of the Ludwig-Maximilians-University Muenchen, Germany. He spent a research fellowship in the field of amblyopia at McGill University, Montréal, Canada. Other research interests include strabismus surgery, retinopathy of prematurity and especially phsychohysics of mon- and binocular vision and development of new diagnostic techniques. He is member of national and international strabismological and peadiatric ophthalmological societies and has attended and organized many of their meetings. Full Symposium Program Schedule including abstract titles and case report topics. Due to the inclusive pricing of the facility and our registration structure this year, all guests staying in an attendee\'s room at the hotel must register as a ‘guest ’ for the symposium. A general guest registration does not earn continuing education credits and does not attend meeting. IEOC/DHF will be charged per person staying in the hotel rooms and for every person showing up at the meal events, this is the reason for this registration fee. Non-CE seeking, guest registration is $300 USD. This was calculated at simple cost, no additional fees have been added. This fee includes: the $50pp/night rooming fee to stay in the hotel room with the primary attendee, $40 for the Welcome Reception (includes some food and drink), and the rest is for the Friday dinner, transportation and drinks. This fee covers all taxes and VAT for the guest. If you have a guest who is seeking to attend the meeting and earn continuing education credits, and will be sharing a room with you, please select the appropriate guest option for $650USD. This registration fee will include everything the primary attendee receives except that they will share a hotel room with a specific attendee already registered or registering on the same form. This fee covers all taxes and VAT for the guest. If you wish to extend your stay, contact Laura Gellera, Hotel Bristol-Stresa at laura@zaccherahotels.com or +39 0323 913992. Please let the IEOC office know if you are extending your stay and we will work with the hotel to combine the two reservations. We had originally hoped to handle any reservation extensions through our office, but logistically it wasn\'t working as we had anticipated. The fee for one night’s stay for one person is approximately: $180 USD Standard room and $225 USD Lakeview. Note that there is an additional fee of $50pp/night for second and third persons staying in your room. This is standard practice in the area and is hotel policy. Please note that most rooms contain one Queen bed, two twins can be requested. If you are in need of family rooming, please let us know if you are requesting this from the hotel. A special request may need to be made on your behalf for one of the few Queen + 1 twin rooms on property. If you wish to have additional persons in your hotel room they will need to be registered as a guest through the symposium. (See information above). If you have concerns that you would like to discuss, additional rooms needed, you are local and don’t need a room, etc., please contact the IEOC office directly prior to submitting your registration form. We can discuss your concerns to see what possibilities are available. The hotel is located close to Funivia Stresa-Alpino-Mottarone, Palazzo Borromeo, and Giardini Botanici dell\'Isola Bella. Also nearby are Palazzo Dei Congressi and Villa Ducale. Walk to town, boats and the cable car within 15 minutes. Stresa is located on Lake Maggiore, the second largest lake in Italy. 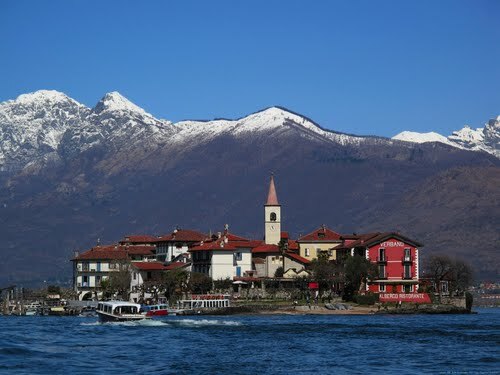 Located in northern Italy, Lake Maggiore crosses into Switzerland. The Italian part of the lake lies within two reqions: Piedmont and Lombardy, with the division from Sesto Calende northwards. The lake also contains 11 islands; the most famous being the Borromean Islands in the gulf between Stresa and Verbania. 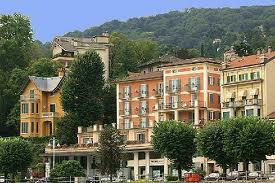 In the Italian part of the lake one of the main tourist resorts is Stresa. Situated in an ideal position on the shores of the Borromean Gulf, Stresa overlooks the unique Isola Bella. Visiting Stresa today it is hard to believe it was once a tiny fishing hamlet (recorded for the first time in 998AD) occupying a narrow strip of land only accessible by a dusty old Roman road. There are many other quaint historical towns and smaller lakes in the area to visit as well.